Remember late spring when I had nothing to say except how sunny and hot it is? The next few weeks may be like that again. Stay tuned only if you don’t mind my whining, and haphazard ability to protect myself from the climate I place myself in. Though I am sometimes reminded of the Prairies, where shade felt similarly hard to come by and I eventually convinced myself that any trees I saw in the distance but never came any closer were actually just mirages, this place is actually quite lovely, and not really anything like the prairies up north. Dusk is perfect, though, and I enjoyed riding for the last couple hours yesterday quite thoroughly. I arrived in Acatlán after dark to a market festival sort of full square, in preparation for Day of Kings(?) which is an important gift giving holiday. I asked a police about camping and he told me it was fine to sleep in the artisan market, next to their building, and that it would close at 8. Because of the holiday and whatnot, they did not close at 8, but I did eventually sleep, just not quite in that spot, and not as much as I’d have liked. Today was similarly hot and pretty. 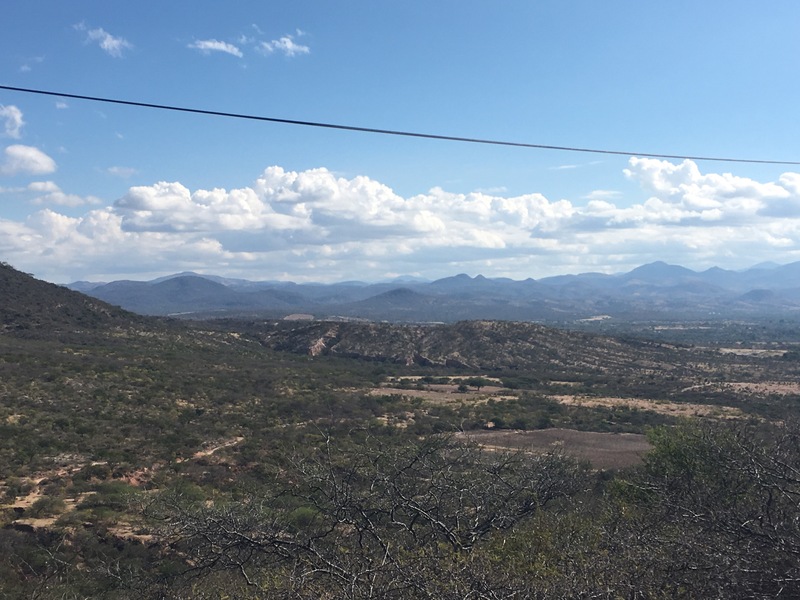 Towns were a little farther apart, climbs a little longer, crossed into Oaxaca in the afternoon and the road surface immediately got a little tougher. Stopped in Huajuapan in the afternoon and failed to move on to enjoy the dusk today. Rosca de reyes for sale everywhere.